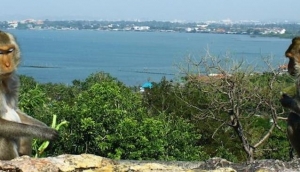 The Best Attractions in Pattaya and the east coast can be found here. Each attraction that we enter will be inspected on a regular basis and photographed and reviewed by the MyDestination team. We will remain vigilant and investigate all the upcoming attractions, like the Cartoon Network water park that will be opening soon. The area is always changing to accommodate the annual influx of tourists, and their tastes.As well as the major commercial sites , we will always be adding new cultural and natural places of interest. You will find that there are so many places to chose from that further trips will be required . This is the reason that Pattaya has such an enviable reputation as the world's leading repeat visitor resort.Our local experts have lived in the area for many years and have a keen understanding of Thai culture, food and the smiling faces that will make your holiday unforgettable.